Builder Boost is proud to partner with many of the top Austin homebuilders; this gives Austin Real Estate Agents access to weekly information that can be difficult and timely to find. New home inventory, agent and buyer promotions, events and news can all be found in the digital Builder Boost Book. With a reputation for superior craftsmanship, open and efficient designs, green building standards, and their personal touch with customers, Ash Creek Homes is a top choice for discerning buyers looking for a simplified way of living. Their steadfast commitment to provide superior designs, quality craftsmanship and distinguished features is evident in every home they meticulously craft. For an exceptional home in an exceptional community, come experience the Brohn Difference. Through expertise, passion and focus on outstanding customer service, they’ve been helping homebuyers find the best places to call home in Central Texas for more than 10 years. At every stage of life, their thoughtfully designed communities and homes make it easy for buyers to fulfill their dreams. CalAtlantic’s thoughtful planning of neighborhoods and efficiently designed homes help conserve the Earth's resources and provide more comfort to you and your family. Caledonia Builders was established with the mission to provide a customer-centric buying and homeowner experience. Caledonia listens to YOU as a customer, rather than you listening to them as a builder. When you choose Centex to build your new home, you get the benefit of more than 65 years of homebuilding experience. Their dedication to quality means that they strive to exceed homeowner expectations every step of the way. Chesmar Homes understand that your home is the single most important and significant investment you’ll ever make. It’s the place where your memories will be made. The home you purchase will be the one you love, one that fits your lifestyle, one that is uniquely you. Their award-winning new home designs are built with popular and functional architectural details, and each floorplan has the ability to be customized to suit the individual tastes and styles of the buyer. GFO Home’s team of real estate veterans have the combined experience of building over 25,000 homes, and yet they bring a fresh approach to the entire process with new designs, efficiencies and flawless quality. With a Leander family heritage dating back to the 1800’s, the Giddens family has been a positive part of the developing Austin community. A vision of luxury, Hill Country Artisan Homes provides custom homes with functionality and comfort in a beautiful setting located throughout the Texas Hill Country. Award-winning designs, quality construction and reliability serve as cornerstones of all the homes they build. Lennar build homes for all stages of your life: first home, move-up home, or a multigenerational home to accommodate your changing family needs. Their communities cater to all lifestyles and include urban, suburban, active adult and golf course living. MileStone builds and develops new home communities with proven industry experience, honesty and dedication, strong attention to detail, and at an unparalleled value. MileStone is here today, tomorrow, and for the many MileStones in your life. For Pacesetter Homes, homebuilding is about more than just brick and mortar. They're dedicated to making you feel good about where you live. Along with great designs that utilize natural elements and create open, inviting spaces, they exude enthusiasm, craftsmanship and a genuine passion for their work. Prominence Homes has been building homes in the Austin area since 2008, but their experience goes back almost 40 years. The principals at Prominence homes have over 85 years combined experience. At Prominence Homes they define value as quality for the price paid. Sitterle Homes builds a wide range of homes, from patio homes to estate homes, and is considered an expert in luxury garden homes. The company’s origins in the custom home market are evident in the luxurious finishes and details found in every home. More than 100 years of experience are built into every Taylor Morrison home. By listening to homeowners’ suggestions and customizing homes accordingly, Taylor Morrison is consistently voted one of the best homebuilders in America for customer service. At Trendmaker, they are continually improving their home designs so that they can offer buyers the best in style, functionality, and quality. 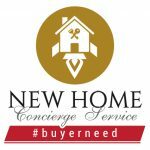 Their first priority is always to provide the very best customer service from the moment you step into one of their model homes until well after move-in day. All Village Builders, homes showcase a number of luxury features and upgrades included in the price such as 8’ interior doors, high-end hardware, granite countertops and stainless steel appliances. William Lyon Homes strive to “make their customers smile all the way home.” They deliver on their promise to build well-priced, quality neighborhoods where families can achieve the American Dream of homeownership. Their award-winning new home designs are built with popular and functional architectural details, and each floorplan has the ability to customized to suit the individual tastes and styles of the buyer.